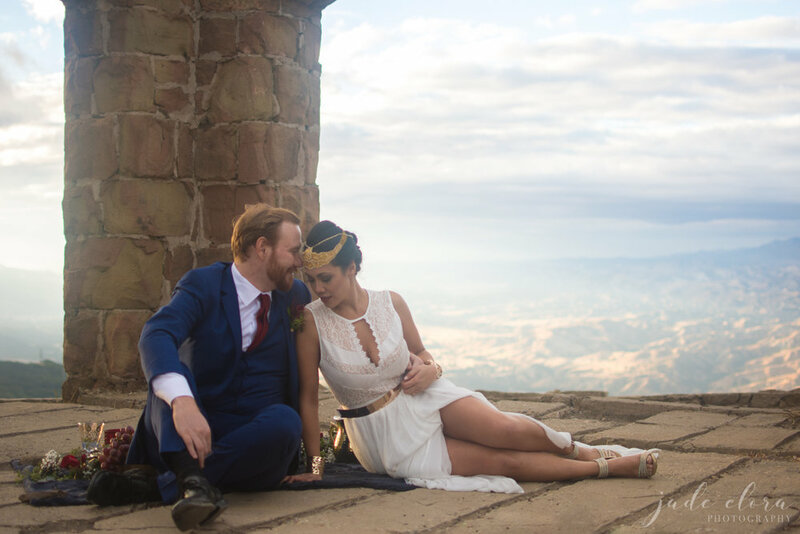 This Wonder Woman themed elopement was a comic book lover's dream! Audrey and Cody are just the cutest couple and she totally rocked her Wonder Woman look. 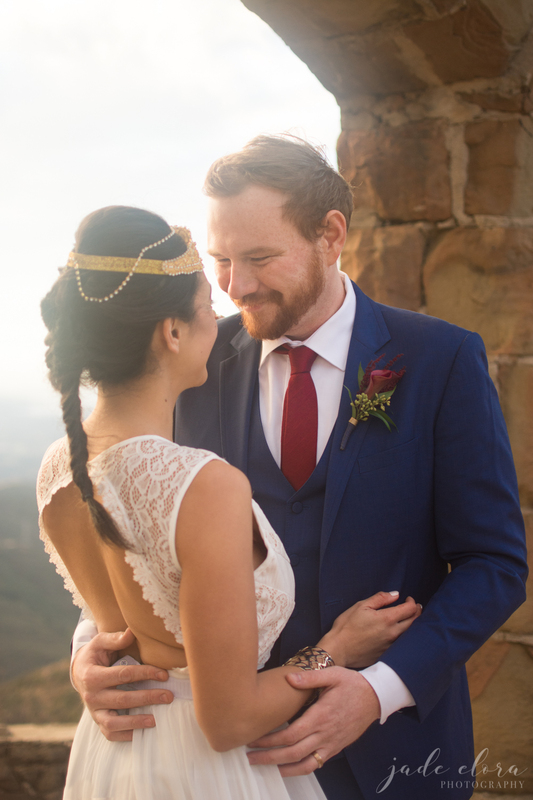 Everything from her dress to their color palette to the rings was breathtaking, and the setting amongst ruins deep in the hills of Santa Barbara just brought it to another level. I love how this ring is so reminiscent of the original Wonder Woman's crown. 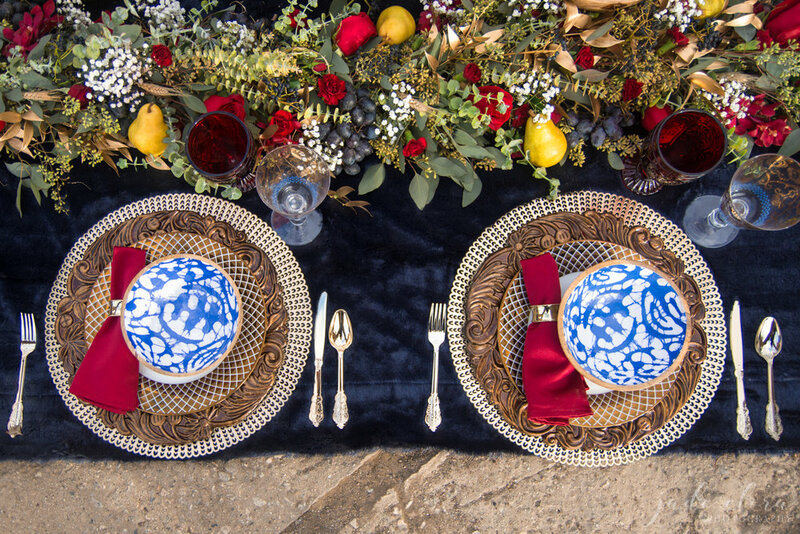 Their intimate couple's picnic was set like an elaborate feast fit for gods and goddesses. 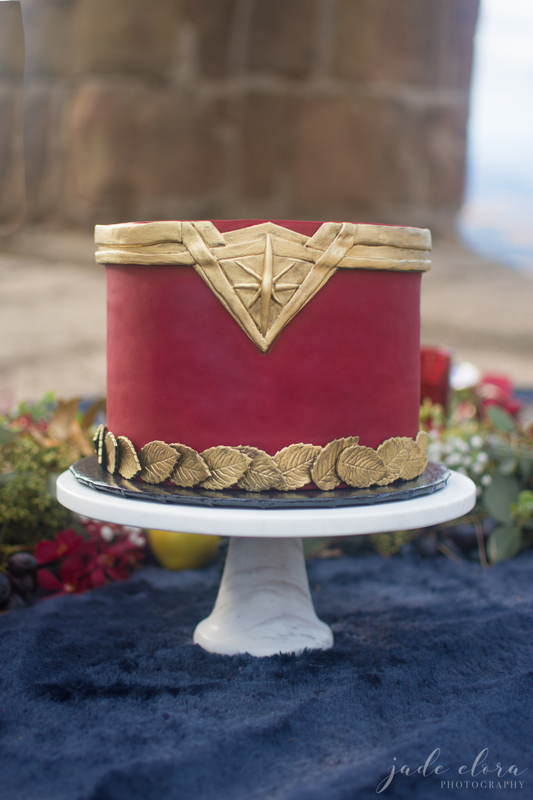 This cake featured a gold "crown" inspired by Wonder Woman's crown in the latest movie iteration. 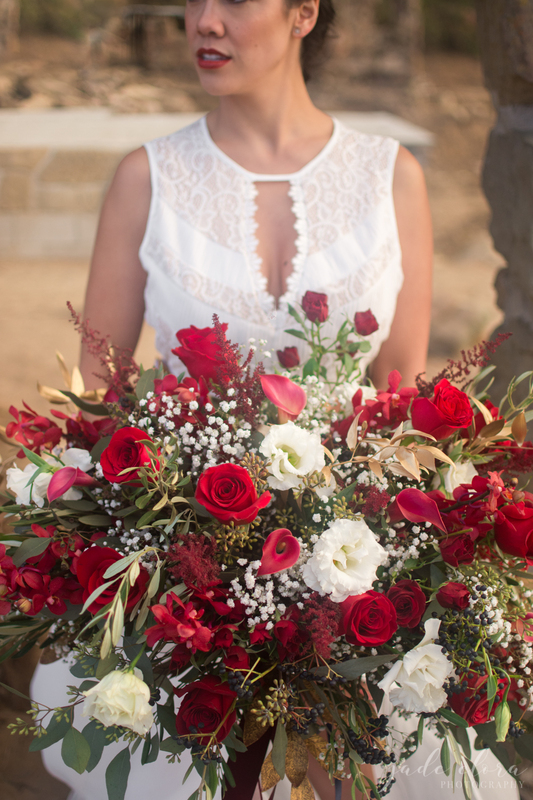 I am downright obsessed with this bouquet from The Flower Shop! The sun was coming through the clouds in the most gorgeous way, as though the heavens were shining down. Seriously, how cute are these two? 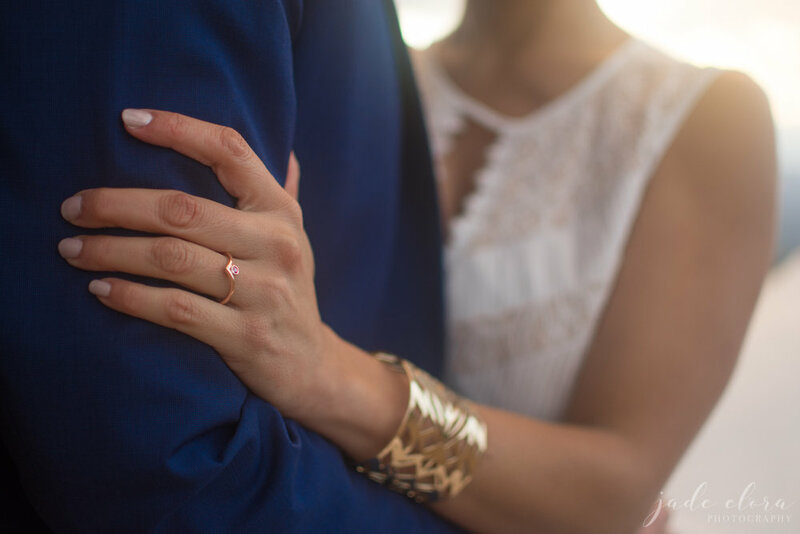 When I was planning my own wedding, I quickly found there were a set of phrases people pretty much only say to you when you're in the middle of planning a wedding. There was "Oh, you absolutely have to have a..." and "Well, everyone is going to expect..." and "If you don't have that everyone will be disappointed". For whatever reason, weddings immediately bring out the discussion of other people's expectations, and you'll get tons of contradictory opinions of what those are. 94% of guests surveyed said they do not expect the bride & groom to provide transportation to and from the venue. Somebody should tell that to all of those "wedding etiquette" books out there making everyone feel like bad hosts for not hiring buses to lug all their guests around. 29% of guests would consider skipping a wedding entirely if there wouldn't be any alcohol. But (contrary to what many people insisted to me when I was planning), almost everyone was okay with a limited bar serving wine and beer. So if you're wondering how guests feel about a limited bar, the answer is pretty much "free alcohol is good alcohol". And the "to open bar or not to open bar?" question... well, it divided our respondents. 57% of guest said an open bar was expected, but many of those who said it wasn't expected still said they'd be disappointed by a cash bar. Now, don't get me wrong, I don't think guests' opinions should dictate your decisions. I'm all for making a wedding about you and celebrating your way, so never feel like you have to change something you like because of what may or may not be "expected". And certainly don't feel forced to spend out of your budget (the people who matter will show up and it will be awesome no matter what!). But feel free to use this information to help you along the way for those tricky "if only I knew what they'd want" moments. There are a lot of strong opinions out there when it comes to first looks. (And yes, I have a rather strong opinion myself) But what's particularly complicated about deciding whether or not to do a first look is that it's an either/or option. You only get one chance to see each other for the "first time" on your wedding day. So what are the options? Let's talk about it. The classic movie moment of the woman walking through the church doors for the first time is what most people think of when they think of seeing each other on the wedding day. There's actually a kind of creepy back story to this, and it ties into other traditions too like the veil and groomsmen. In the days of arranged marriages, the bride and groom weren't allowed to see each other (or meet at all) until they were at the altar. The idea was that if the groom didn't like what he saw, he might try to make a run for it. The groomsmen were actually there as "enforcers" to make him follow through with the marriage and the veil covered her face so he wouldn't be able to get a close look at her until the marriage was already official (just before the kiss). So yeah, the tradition isn't romantic at all, but let's ignore that for a second. A lot of people say they prefer this option because it's a moment they've envisioned for a long time and they feel a first look would make it less special. Is that true? In my experience, not at all, but I'll explain more in a moment. Similar to a first look, the couple is posed in a way that they cannot see each other (back to back, on either side of a door, or around a corner) and can talk or hold hands without seeing each other. This is a good compromise for people who want to calm their nerves a bit and interact with their partner while holding true to tradition. However, you won't have the added time bonus from taking portraits early and you'll still be sharing this personal moment in a high-pressure environment with all your guests. 1. The first time you see your spouse-to-be will rarely go as planned. If you're imagining that movie moment, consider that you very well may not get it no matter what you do. First look or not, you can't force a romantic moment whenever you want one. I was so nervous when I got married that the walk down the aisle was a blur. Everyone was staring at me and I didn't know where to look. Emotions were so high that the memory is just a blur of faces, feelings, and a couple quick glances at my feet so I didn't trip. I do remember my first look, though, and it was really great and special to me. 2. That aisle moment will still be emotional. My husband cried during our first look. He also cried as I walked down the aisle. Everyone is different, so some people may hold back their emotions when everyone is watching, whereas others may just not be the emotional type at all, but I've never seen an 'aisle moment' that wasn't intense. It doesn't matter how much you see each other beforehand, that moment is always going to be a big one. 3. More than anything, you'll want more time on your wedding day. 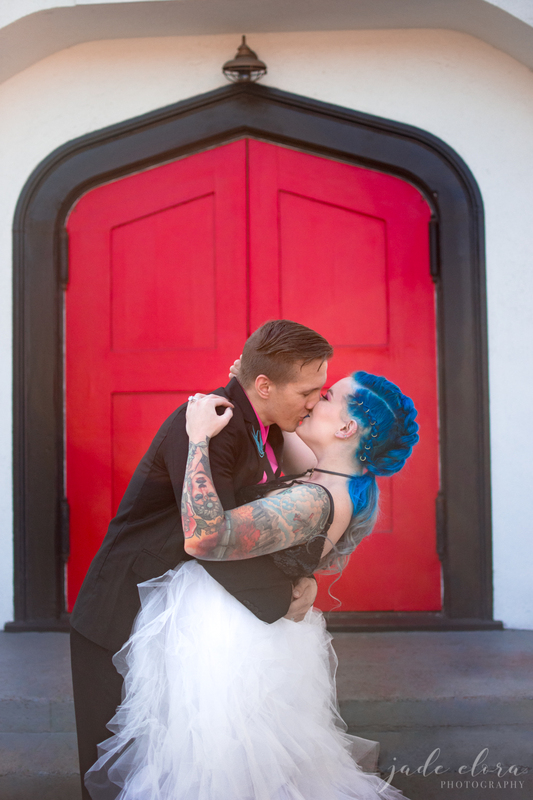 Everyone says it goes by fast, but man, when it's your wedding, it's insanely quick. 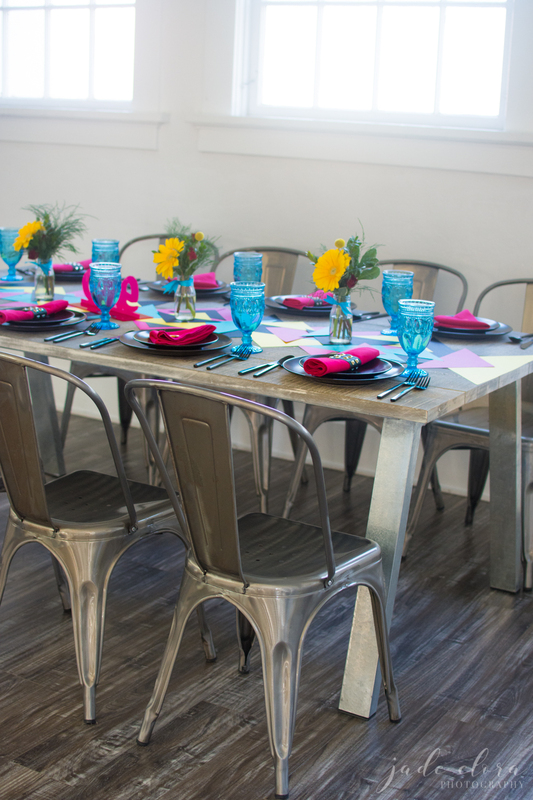 You get very few opportunities to bring all your favorite people together, so having that extra time with your guests (and actually being able to enjoy your cocktail hour) will be really worth it. 4. Almost all of my couples who didn't do a first look told me they wished they had. And I've never asked. That's crazy, right? They all told me that without prompting. Inevitably you get tired of taking photos while being away from your guests and your party, you just want to get to the fun! Whatever the heck you want! 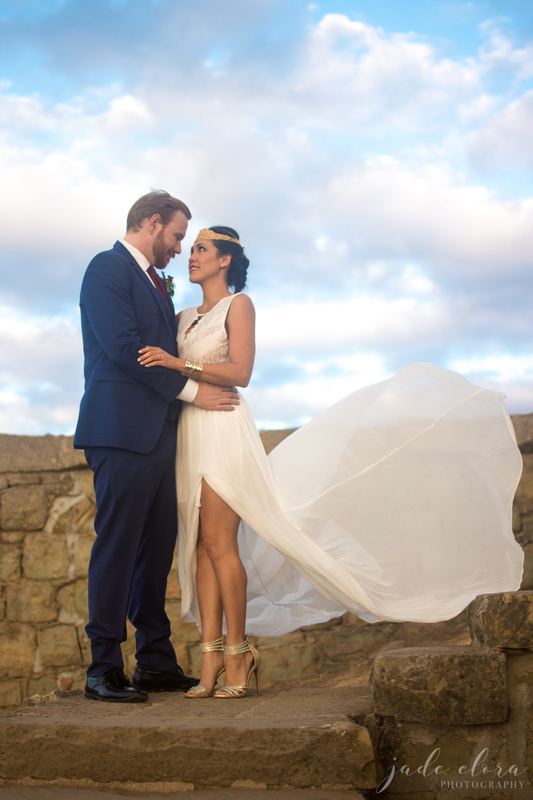 I definitely recommend the first look because in my experience that's the way to have the best wedding day and I'm confident you won't regret it. But if you want to do something different, do it. In planning a wedding you'll find that everyone wants to pressure you to do things your way, so never feel guilty if you want to ignore someone's advice. You know yourselves best.